We're pleased to announce that we've recently secured $2 million in funding! 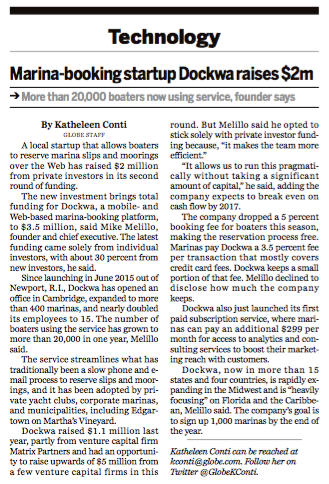 In the past year since our last round of funding, we launched our free iPhone and Android apps, grew from just a handful of marinas to more than 400, doubled the size of our crew, and now have more than 20,000 boaters on board. We couldn't have done it without the support, dedication, and spirit of adventure from our marina partners. If you've listed your marina on Dockwa, there's a chance you may have gone full throttle when the season ramped up, getting on board and approving reservation requests – which is perfect! As you may have seen, we're often referred to as the "OpenTable for Boating." Our innovative unified booking platform connects boaters to marinas in real time, allowing them to explore, reserve, and securely pay for a slip or mooring via the platform. 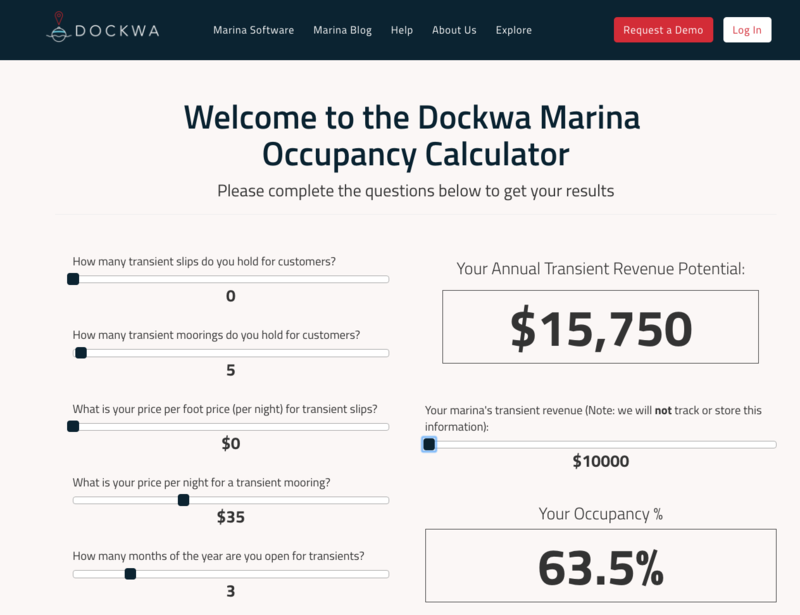 Since launching in May 2015, Dockwa remains the only service of its kind to offer both a unified booking and marketing platform for marinas. In layman's terms: We're not a concierge service. When you accept a reservation request using Dockwa, you're "speaking" directly to the customer via the app, with no middle man, and you're able to message reservation information directly via the app as well. No phones going unanswered. No missed messages. No incorrect paperwork. Happier customers. Beyond features, this new momentum is also already propelling us to bring on more marinas in a larger footprint, which will increase the frequency with which boaters explore beyond their current go-to destinations. This summer we also expanded to the Midwest, one of the largest boating communities in the country, with the addition of 13 locations in Chicago Harbor to the network. When it comes to the marina functionality, we've been making waves with our reservation management software. Our new premium subscription offering, Dockwa Connect, arms marinas with tools to enhance their customer's experience while increasing asset utilization. Our core marina functionality manages reservations, connects marinas directly to customers, and handles payment securely; Marinas pay only a flat 2.5% credit card processing fee per reservation (plus a 1% Dockwa convenience fee), which replaces their current credit card processing fee. 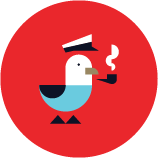 One of our customers who solely uses Dockwa to manage inventory reported a 25% increase in revenue year over year.